lmost half of all Australian wine comes from South Australia. The bulk of the cheaper wine comes from the Riverland area, on the Murray River close to Victoria, while many premium wines (red, white and fortified) are made from regions that range from baking hot to distinctly cool. Quality in all the established regions is producer-dependent, as many have chosen to maximise profits by concentrating their efforts on marketing and distribution rather than producing ever better wines. From both the latest wave of high-quality small producers and some of the more established names, the wines are increasingly vineyard-specific and less about winemaking tecnique but great wines also continue to be blended from a range of mesoclimates. There is also a trend in favour of experimenting with alternative varieties, notably Italian and Spanish, but also Austrian and Portuguese. It can result in some exciting, textured wines at the drier end of the spectrum, though prices tend to be high, especially if these wines are compared with their European counterparts. This GI zone, incorporating the Barossa Valley and the Eden Valley, witnessed the greatest revival amongst Australia’s many historic winemaking areas during the 1990s. Since the 1840s both English and Silesian immigrants have played an important part in establishing what has become the heart of the Australian wine industry. 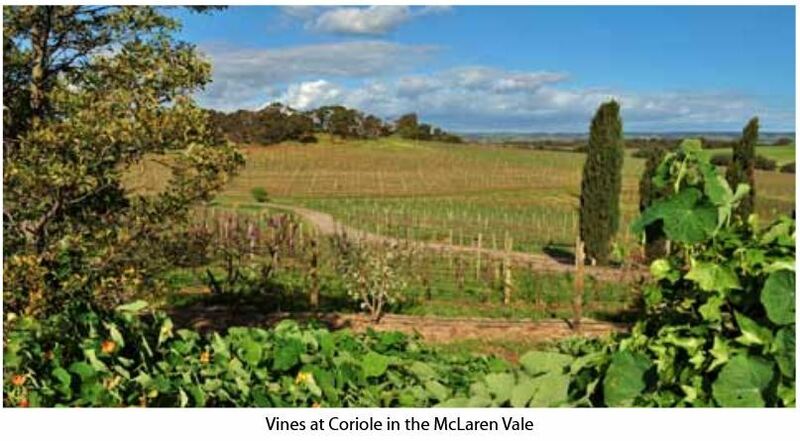 But in the modern revival of Australian table wines Barossa lost ground to newer areas and its rich viticultural resource of often unirrigated, old-vine Shiraz, Grenache and Mourvèdre began to rapidly disappear under Vine Pull schemes of the 1980s. Fortunately Peter Lehmann, Grant Burge, Charlie Melton and others rode to the rescue by producing wines of a quality that the world couldn’t ignore and has since not been able to get enough of. Besides rich, lushly textured old-vine Shiraz and Rhône-style blends, Cabernet Sauvignon has an important place for its distinctive dense, black-fruited blockbusters; such Barossa classics often owe their sweet casing to ageing in American oak but the trend, even for classics like Peter Lehmmann Stonewall, is in favour of French oak. Barossa also has a great history of fortified wines and very high-quality examples, often blended from old wines, continue to be made. Though full-flavoured, whites are less suited to the conditions. Chardonnay, whose appeal in the 80s soon waned, does less well than Sémillon in the heat. Moscato d’Asti style fizz, on the other hand, works very well. 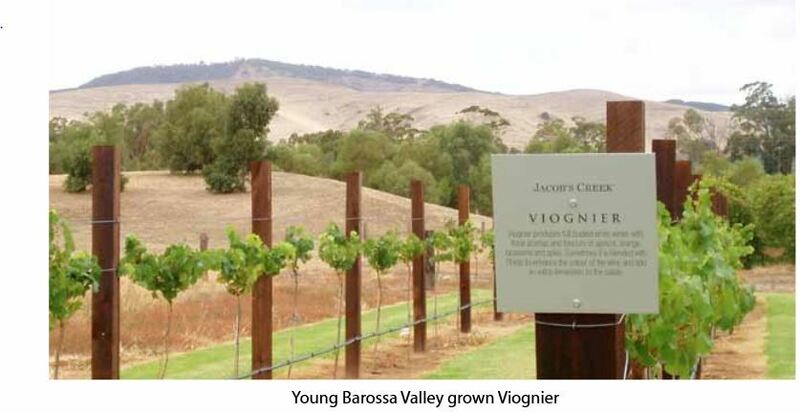 The most successful of the whites in the Barossa zone is Riesling, but from over the eastern ranges of the Barossa Valley in the significantly cooler, more elevated vineyards of the Eden Valley. Riesling particularly excels in the higher, more southern reaches where the Mount Lofty Ranges run through from the Adelaide Hills to the south. 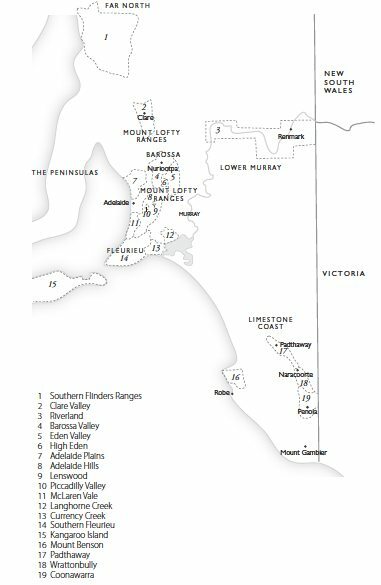 These areas are known as High Eden (a recently approved sub-region), home to Mountadam, Eden Springs, Heggies and Pewsey Vale (see Yalumba), and Springton and are the source of high-quality Chardonnay, Pinot Noir and Merlot. Viognier shows real potential too, though current quality has been a little overhyped. Great reds, particularly Shiraz but also Cabernet, are also produced from lower altitudes, most notably those from Henschke, near Keyneton. role in the style of the wines. 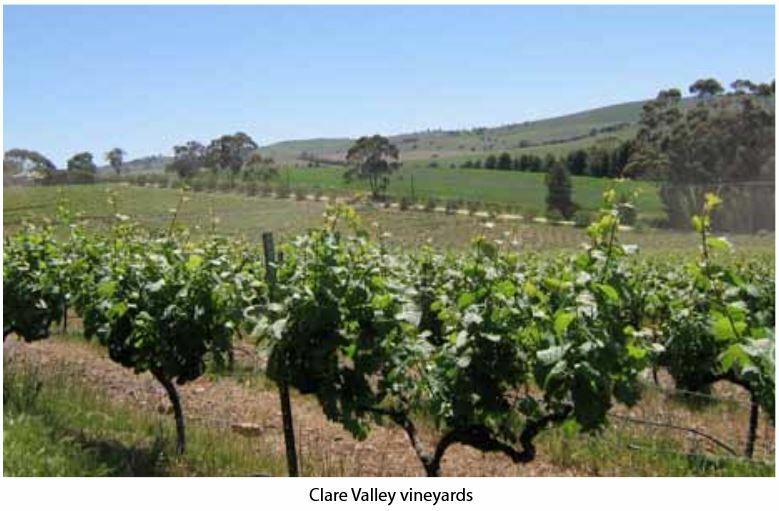 Lying to the north-west of Barossa, the Clare Valley might be expected to be even hotter, but altitude changes the equation and is critical to the success of individual varieties. However, it is warm and even with irrigation vines can suffer water stress in particularly hot years. Several sub-regions have already emerged, including Auburn , Polish Hill River , Sevenhill , Watervale and around the township of Clare itself – though none have yet received official GI sanction. Most Rieslings from the Clare Valley offer less immediate fruit sweetness than those from the Eden Valley but have better structure and greater style. The best examples can be relatively austere in youth but develop an intense limey, mineral toastiness with 10 years’ age or more. Shiraz is the most widely planted variety and the higher west-facing vineyards in particular provide some excellent examples with a captivating smoke, earth and mineral character (superbly illustrated by the likes of Kilikanoon). Cabernet Sauvignon is also a leading variety and if generally less compelling than the best Shiraz it also shows a distinctive regional stamp. Chardonnay, Sémillon and Merlot are the most important of the other varieties. The Adelaide Hills, in the ranges along and beyond the eastern edge of the state capital, form part of the southern extension of the Mount Lofty Ranges. Elevation is again critical and the reputation of this relatively small vineyard area grows apace, now way beyond its size, since being pioneered by Brian Croser (founder of Petaluma) in the 1970s. Chardonnay, especially from the sub-regions of Lenswood and Piccadilly Valley, rivals, even surpasses the best in the country but there has also been compelling quality from Pinot Noir and Sauvignon Blanc. The patchwork of vineyards, resulting in part from the perils of spring frost, contrasts with the swathe of low-altitude vineyards that carpet the floor of the McLaren Vale a short distance to the south. The Fleurieu Peninsula is dominated by production from the historic and important McLaren Vale but in the past decade wines of quality have begun to emerge from lesser-known neighbouring regions. In the McLaren Vale, tucked between the hills and the coast, the heat is relieved by sea breezes and Shiraz, Grenache, Mourvèdre and Cabernet Sauvignon assume ascendancy. However, care must be taken if the wines are to show balance and depth as well as a lush texture. A re-energising of established producers (such as D’Arenberg)togetherwith the emergence of the likes of Clarendon Hills, Fox Creek, or more recently, Gemtree, Paxton and Mitolo, have, in conjunction with the general revival in the fortunes of Rhône varieties in South Australia, brought about both greater diversity in red wine styles and ever higher quality. So-called “Cadenzia” blends put the empasis on Grenache. Given the region’s mix of soil types it is also encouraging to see increasing identification of the various sub-zones and individual vineyards. Soon the likes of Blewitt Springs, Clarendon and Kangarilla should be as well known for their location as for the wineries named after them.Whites are less exciting. Some producers persist with Sauvignon Blanc and Chardonnay, the best of which come from the cooler northern end (Clarendon, Kangarilla) of the region where the Adelaide Hills begin, but the long-term success of whites in the heartland seems more suited to Rhône and other warmer- climate varieties. Flood-irrigated Langhorne Creek on the other side of the Fleurieu Peninsula has long provided soft, ripe Shiraz and Cabernet fruit that contributes to many a well-established blended South Australian red. An absence of high-profile producers has contributed to a lack of identity but Bleasdale, Bremerton, Lake Breeze, Heartland and others will bring greater recognition. Other pockets of vineyard that have recently been given their own official sanction are Currency Creek and Southern Fleurieu which lie either side of Langhorne Creek. Kangaroo Island, a large (4,350 km2), sparsely populated island 110 km southwest of Adelaide, has but a few vines yet shows good potential for Bordeaux style reds. Jacques Lurton established the Islander on Kangaroo Island in 2000. The south-eastern corner of the state is geographically an extension of Victoria. The Limestone Coast zone is essentially flat yet its magic emerges from low limestone ridges topped with the famous terra rossa (or terra rosa) soil. The most established of these is, of course, Coonawarra. Coonawarra only emerged as a high-quality region in the latter half of the 20th century. Despite its renown, quality from this elongated, relatively exposed and coolish region with its terra rossa soils and high water table was highly variable. The combination of intermittent summer heat and cold, wet winters is as significant to quality as the fabled free-draining soils. Cooler vintages in particular demand high standards of viticulture yet mechanically harvested fruit that comes from high-yielding Cabernet Sauvignon vines fails to get fully ripe as does that from less suitable more water-retentive soils at the limits of the region. Many of the high-volume blends that result denigrate the Coonawarra name. Fortunately viticultural standards are on the up. 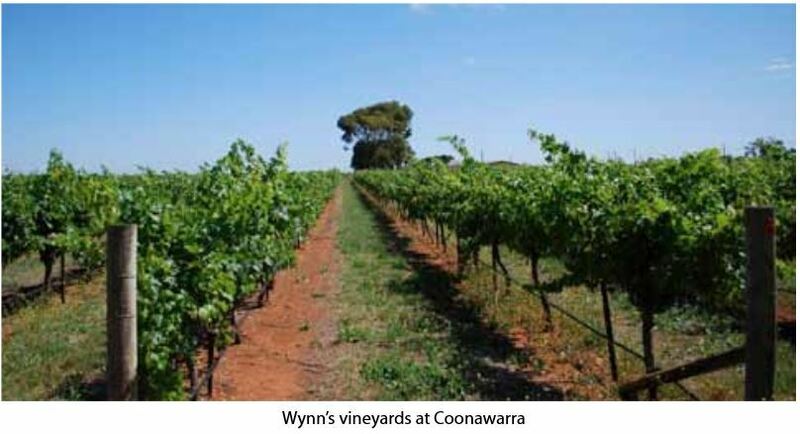 Wynns, the region’s biggest producer and a growing number of small or medium-sized estates (such as Bowen Estate or Hollick) are showing the sort of quality that is possible, and from Shiraz as well as Cabernet. There has been much fuss over Coonawarra boundaries but wiser producers are investing their energies on developing other similar, and very promising regions. Northernmost of the Limestone Coast regions, Padthaway has a far less established reputation than Coonawarra. Despite being the warmer of the two, Padthaway already has a considerable reputation for Chardonnay. There are also substantial plantings of Cabernet Sauvignon and Shiraz and significant amounts of Riesling, Merlot and Pinot Noir. The Limestone Coast is destined to be better known as a grape growing rather than winemaking region. Mount Benson and adjoining Robe lie to the west of Coonawarra and Wrattonbully, right on the coast. Vineyards were non-existent here until 1989. Temperatures during the growing season are lower than in Coonawarra and both wind and frost can be a problem. Cabernet Sauvignon and Shiraz lead the plantings; Shiraz in particular, shows real promise. Interest has been heightened by the development of Kreglinger Estate (Norfolk Rise). To the north of Coonawarra, Wrattonbully is now rapidly emerging as an important region for quality wines. Slightly warmer than Coonawarra, it has similar if older, terra rosa soils underneath the gently undulating surface and also slightly less risk of frost. The lion’s share of planting has been to Cabernet Sauvignon but there are also significant amounts of Merlot and Shiraz. It is to some degree the Right Bank to Coonawarra’s Left Bank. Wines from the region often form part of a Limestone Coast blend.The rest of the Limestone CoastSmaller newer areas that have yet to take on any real significance include Mount Gambier (in the extreme south of the state), Lucindale (on another Limestone ridge between Mount Benson and Wrattonbully), and Bordertown. The last already has significant plantings used in Limestone Coast blends.